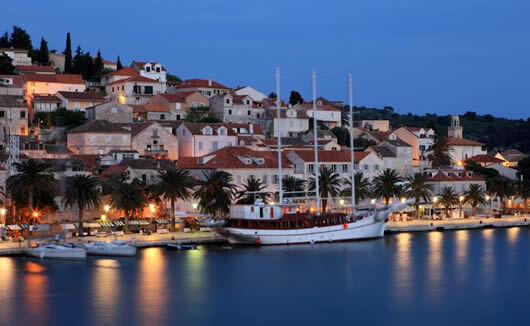 The Riva Hvar Yacht Harbour Hotel is a boutique, luxury four star hotel located along the island’s most famous promenade and overlooks the stunning Hvar Yacht Harbour. 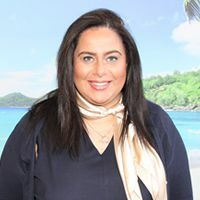 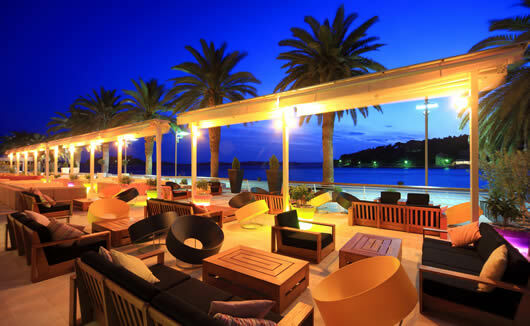 This iconic hotel is perfectly placed to put you right in the heart of the island’s lively party atmosphere and you’ll be at close reach to the harbour’s best bars, restaurants and nightclubs. 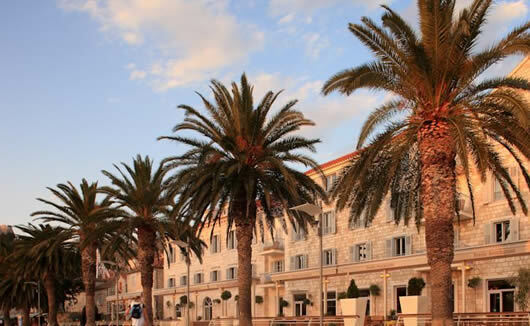 The hotel itself boasts a very unique building, one which is recognized as a landmark to everyone who visits Hvar. 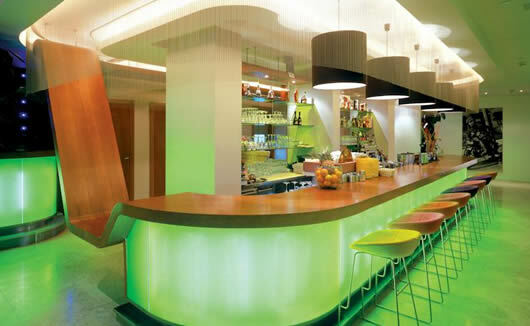 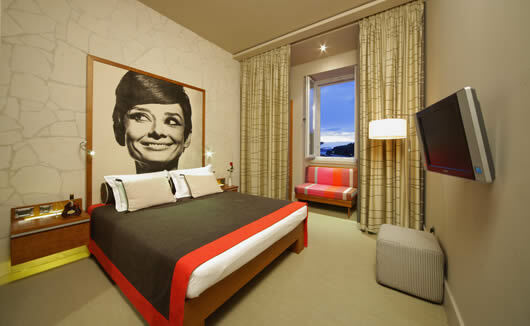 Designed by Jestico + Whiles, Riva Hotel exudes a style which reflects a ‘nouvelle vague’ / French new wave kind of style. 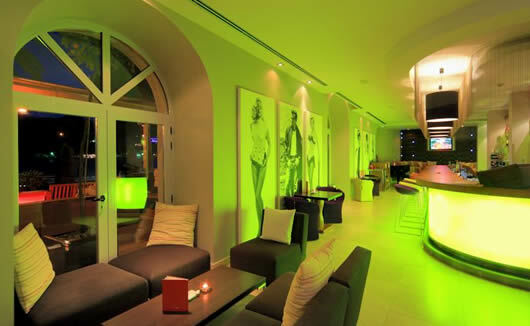 The ambiance from the moment you step foot in the lobby is that of a boutique sort of glamour, and you’ll feel like you’ve entered into a star-studded vintage Hollywood; but one with all the modern touches to make your stay as comfortable and luxurious as possible. 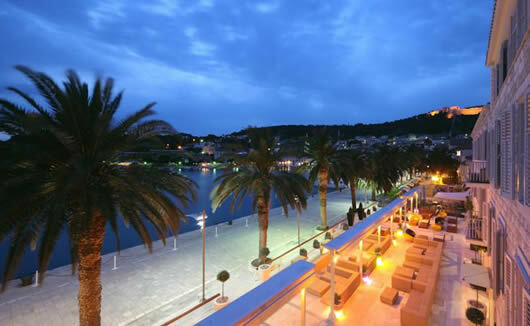 Hotel Riva offers 2 on-site restaurants and an openair bar serving signature cocktails that is widely considered as the place to see and be seen. 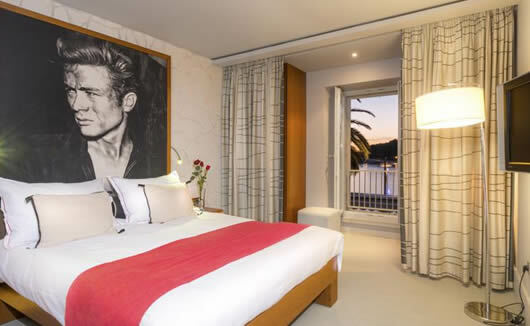 The stunning rooms feature a clean yet quirky colour palette of grey, charcoal and red and are finished off with black and white art. 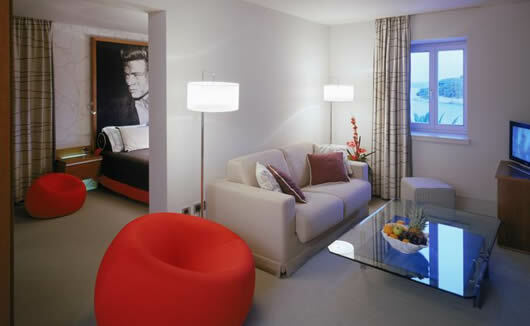 Your stay will have a serious Hollywood inspired and glamorous feel to it. 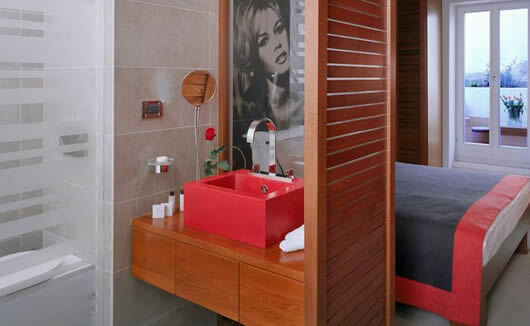 There are 54 rooms and suites and as standard, you can expect top of the range in-room amenities and features including FREE WiFi, air conditioning, flat screen TV, mini-bar, safe, bathrobes and slippers, hair-dryer, bathroom amenities and direct dial telephone.